Submit a product review for a chance to win a $100 Gift Card. Your opinion matters! Help fellow boaters, sailors, kayakers and water-lovers make informed decisions ?on their product purchases by writing reviews on items you own or use. The more reviews you write, the better your chance to win! 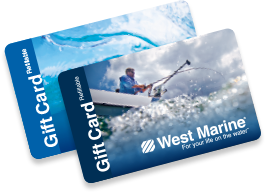 Just find your product on westmarine.com and click “Write a Review.” Be sure to submit your email address (at the bottom of the review page) with your review for a chance to win. Reviews will appear within 2–3 business days. Increase your odds of winning by reviewing multiple products. Gift Card winners will be contacted directly through their verified email address.